1. Take a beginner’s French class. That's right, it’s back to basics – French 101. My French friends have declared war on my incorrect use of Le and La and they say that after a decade here I should speak perfect French. I say let’s not get too picky - my message gets across in spite of these petite mistakes. When they stop pronouncing ‘high end’ as ‘high hand’, then I’ll take 'em seriously. 2. Learn how to cook French food. I think Big Cheese is fed up with Tex Mex and frozen French food from Picard judging by the Christmas present he gave me this year: French Cooking for Dummies. 3. Learn the different French baguettes. I realized I haven’t been hitting the boutiques enough when I spent last Monday shopping ALL day and couldn’t buy anything I liked because my Parisianista fashionista boss already has the same stuff! 5. Carry a pocket dictionary. 6. Think like the French – it’s all about the wine. A Frenchie emailed his holiday wishes and concluded with, “Il faut s’efforcer d’être jeune comme un Beaujolais et de vieillir comme un Bourgogne” (Try your hardest to stay young like a Beaujolais wine and grow old like a Bourgogne wine). 7. 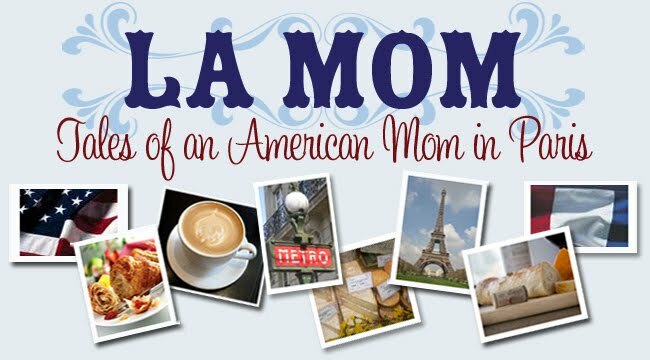 Start a La Mom fan club on Facebook!